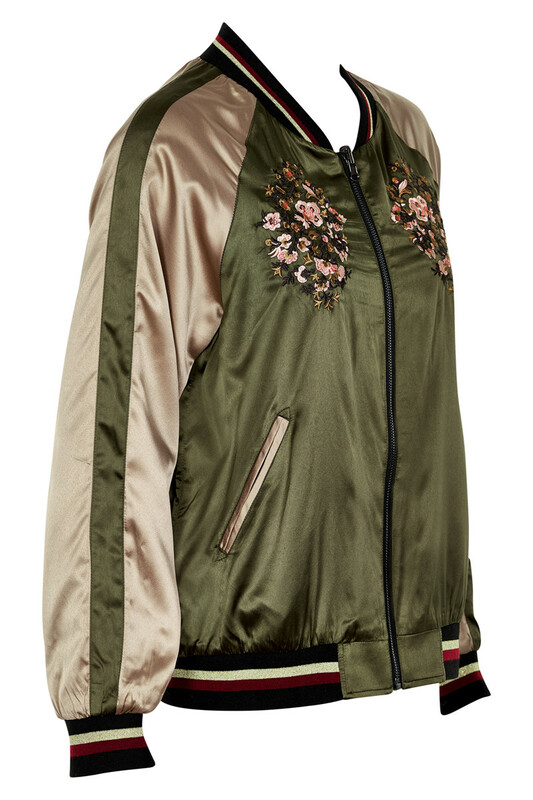 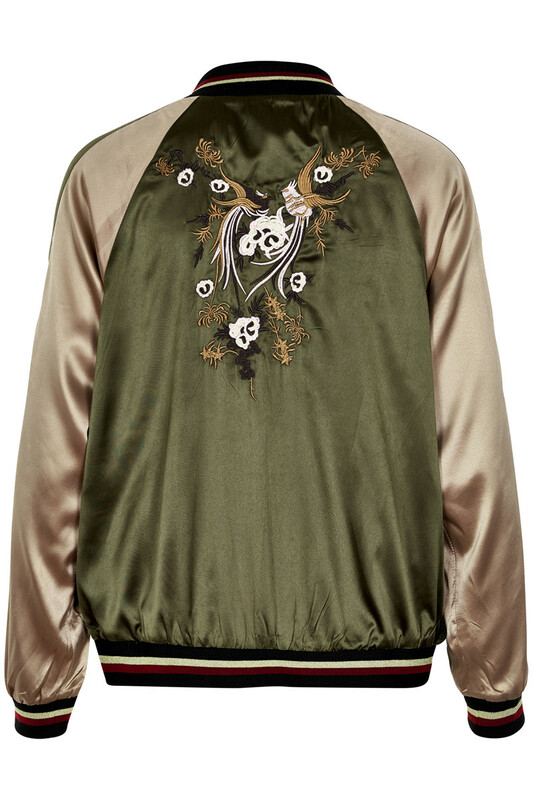 Nice and feminine bomber jacket in a satin look. 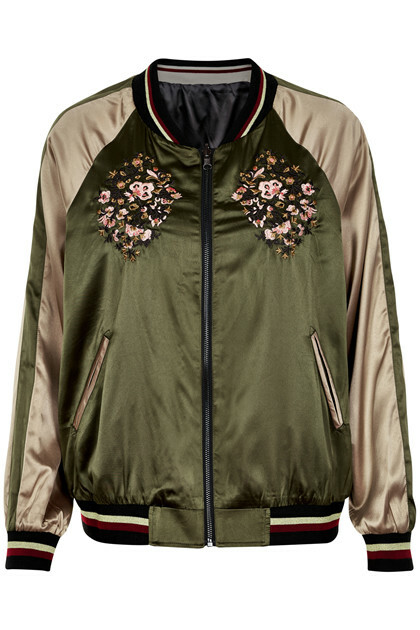 The jacket has a beautiful flower embroidery in front and at the back. 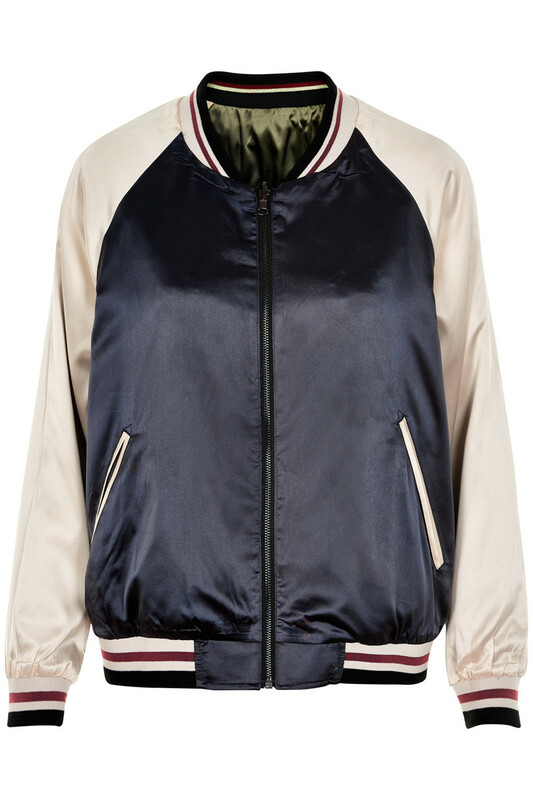 The raw rib edges at the sleeves, around the neck and at the buttom give the jacket a sporty look.